In the sport, or lifestyle, of Rock Climbing, your gear is a matter of life or death. Being ill prepared for a climb could have serious consequences. With that said, it is important to research and try on various types of harnesses. The type of harness you choose is also dependent upon the type of climbing you are doing; Traditional (Trad), Winter or Sport. Your harness is not only a lifesaver, but it also has to provide comfort in the given type of climbing you are doing. With less comfort comes more stress and added stress to a climb is never needed! So before we hit the rock faces, let’s explore the best climbing harnesses out there for 2019. A minimalists dream. Very functional ultra light harness with waist belt and leg loops. Features scratch resistant shell and breathable mesh interior for superior comfort. The pre-threaded forged speed adjust waist belt is a nice feature that makes adjustments a snap. Easily considered one of the best harnesses overall, the price is very friendly. 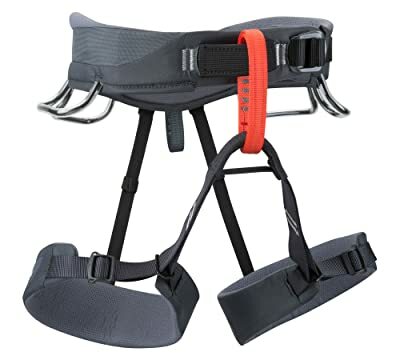 With a waist belt and leg loops that feature abrasion resistant shells, this harness is ideal for beginning climbers. The soft mesh interior provides comfort and the bullhorn shaped waist belt features Kinetic Core Construction. This harness is highly durable, perfect for beginners and yet is considered a premium trad harness. The Kinetic Core Construction is a major improvement to the typical harness that causes pressure points to develop on the climber’s body. With this premium construction, weight is distributed evenly, causing less pressure and pain for the climber. This makes climbing more enjoyable from the start for climbers no matter their skill level. Inexpensive but full of value; perfect for rough on gear types and newer climbers. The Ophir is a balanced, all around harness that has many surprises for its price point. “Split Webbing Technology” creates a comfortable and enjoyable climb. Breathable material makes this harness a good choice for the warmer months. 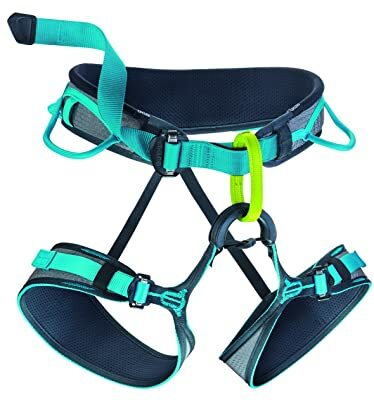 The Ophir has a drop seat buckle and has abrasion indicators letting the newest of climbers know they have gotten their money’s worth with this valuable harness. The Edelrid Jay II has something for every climber with its movable foam padding that fits perfectly on the waist. This harness also has two attachment options for ice screw clips and four fixed gear loops for easily accessible gear. With an abrasion protector at the tie-in point, this harness will last you longer than most harnesses out there. The Black Diamond Women’s Primrose has a time-saving design through the use of a screw-threaded speed adjust waistbelt buckle that is bullhorn-shaped, made of a dual-core construction and the trakFIT leg loop system. Built specifically for women, the shape of the design is very comfortable. The Arcteryx AR-395a excels in pressure dispersal that provides the climber with an extra comfortable load out. This harness is one of the lightest in its style but comes at a cost at the register. With comfort like this though, you are more than willing to make the purchase if you are serious about your climbing. The Petzl Corax is a thin sport harness, perfect for summer activity. The low-profile design allows for speed and flexibility. An exclusive element to this harness is the sliding connection piece, belay device called verso, and an attached karabiner that is compatible with all rope types. The Black Diamond Momentum harness boasts pressure-molded gear loops and thick padding in the leg and waist straps. 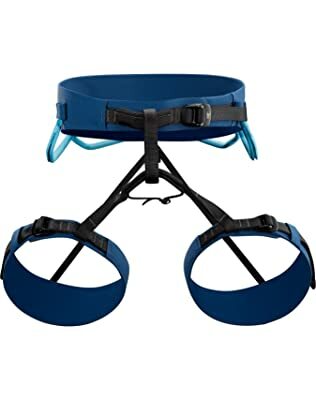 This harness does a great job of focusing on comfort by distributing weight for incredible support without the usual pressure points. The TrackFIT leg-loop technology provides typing convenience in all seasons. Traditional climbing generally uses a large rack, and this fact becomes more important the longer the climb. Trad harnesses typically have a minimum of four gear loops and having an option to increase the amount of gear loops is invaluable. 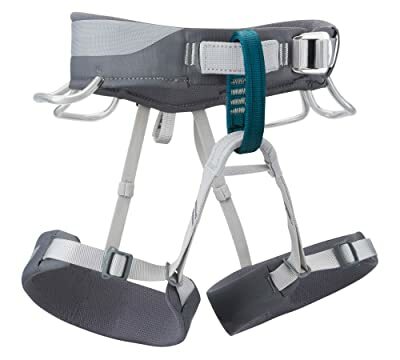 Adjustable leg loops with buckles: Either auto or manual double–back. 4 or more gear loops: Designed to hold lots of gear. Thick and durable padding: Increases comfort when spending a long time in the harness (introduction of hanging belays and multipitch climbing require thicker padding). Extra lumbar padding: Helps to stabilize the lower back and waist. Haul loop: For carrying up a second rope. 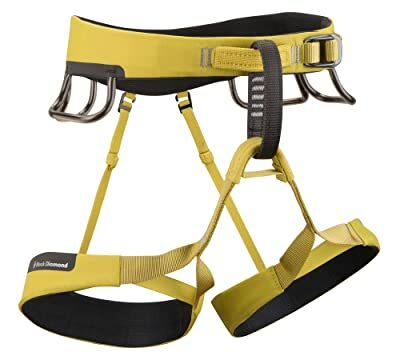 Due to the unique nature of sport climbing, these harnesses require very little beyond the quickdraws. Sport harnesses focus on being as light as possible, but with that drop in weight comes less padding and comfort. They have fixed leg loops, more porous and breathable mesh foam and often times only have two gear loops. Single automatic or double–back waist belt buckle: Quick and easy to get on and off. 2 gear loops: Only 2 since minimal gear is needed. Thin belay loop: Saves on weight. Minimal leg adjustability: Many have no adjustment buckles on the leg loops to shave weight and create a sleek look; instead, they use material that will stretch and give. Rarely is layering of clothing require in these activities, so it is alright for the leg loops to have minimal adjustability. Adjustable leg loops using buckles: Either auto or manual double–back. Fully adjustable to fit over winter clothing. 4 or more gear loops: Designed to hold winter gear such as ice screws and ice tools. One to 2 clipper slots allow for the attachment of ice clippers to hold screws and tools. Waist Belt and Leg Loops – The main structural parts of a harness. Many advancements in their construction have occurred over the past few decades; mainly, weight dispersion throughout, alleviating pressure points. Belay Loop – This high strength loop used for belaying a climbing partner. The vertical orientation allows the karabiner and belay plate to orient in the right direction for smooth belaying. Tie in Loops – When tying a rope to the harness, the climber will pass the rope through the lower and upper tie in holes. This allows both the waist band and the leg loops to be safely attached to the rope. Gear Loops – Low strength loops, never to be used for belaying. They are for gear that needs to be carried. Trad harnesses usually have more loops available. Ice Clipper Slots – Many multi-purpose climbing harnesses now include a few slots designed to hold special karabiners in place for easy access to ice screws. Haul Loop – A small loop that allows rope to trail easily behind the climber. This loop is also useful for hanging chalk bags. 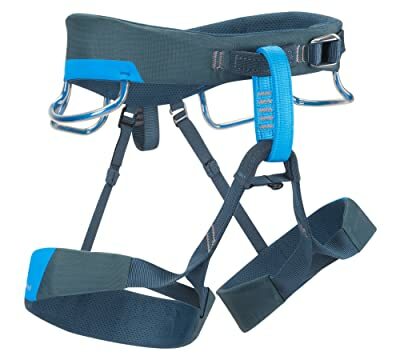 All of the listed harnesses provide safety for the climber, but in various ways. 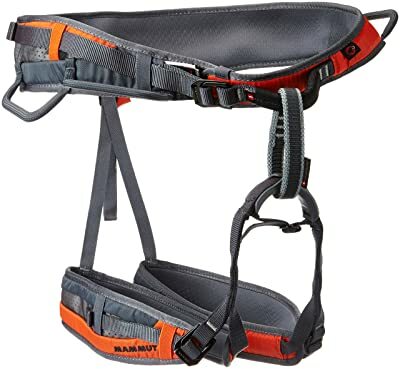 As stated earlier, the type of harness depends on the type of climbing that is taking place, as well as the skill level and price sensitivity of the climber. As technology improves, the benefits of various brands will continue to differentiate and innovate from one another. No matter the amount of money spent, however, no harness can last forever. When putting your life at risk in this activity, it is important to buy new harnesses as they become worn out. 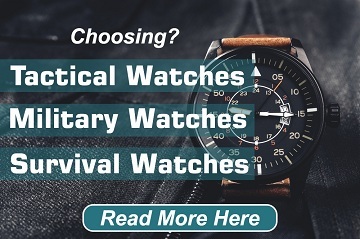 It can be confusing as there are a lot of options out there, but hopefully this guide will help you. Just because you may buy a more expensive harness, does not mean you are necessarily getting a safer harness. Harnesses must meet UIAA safety standards so they will protect you pretty much in any scenario you may find yourself in. Along that thought, take a look at the more basic end of gear, such as the Primrose from Black Diamond; the women’s version of the momentum. These harnesses are in the 50 to 60 dollar range. 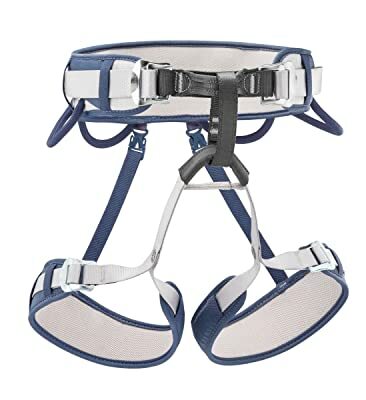 The more inexpensive trad harnesses are cost efficient through the usage of padding, foam and weight distribution structures that are for shorter trips. Long climbs that involve a lot of hanging about would not be ideal for these more inexpensive harnesses. 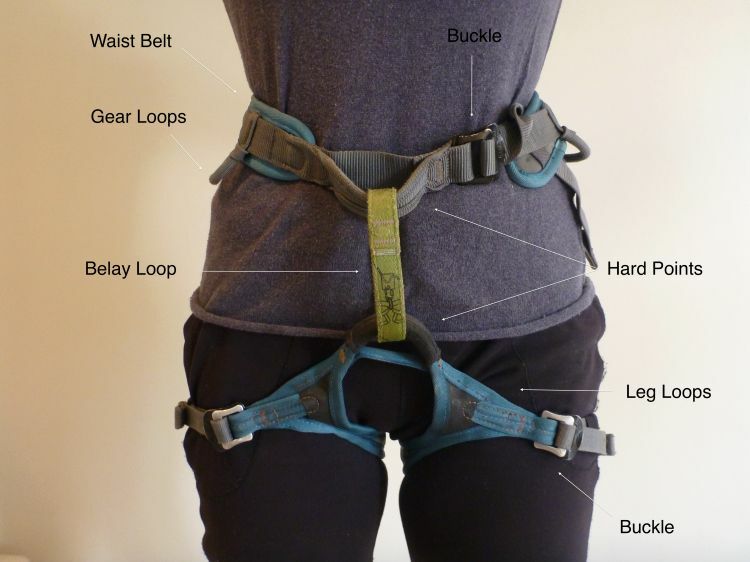 Most harnesses have four gear loops so regardless of what type of climbing you’re doing. It comes in handy to have more than four loops if you’re climbing trad where you need a lot of gear. Trad specific harnesses definitely have more loops, usually 6. For winter climbers, an ice harness is a must; most of these harnesses will have Ice clipper slots and a special karabiner for carrying ice tools or ice screws. If you’re an ice climber these added slots for winter gear are a must. The biggest difference with winter harnesses versus others is an extra piece of webbing that goes down through the bottom that helps distribute your weight a little bit better, and of course, the foam being used is not as porous and does not soak up water, therefore it won’t freeze. Using a winter harness in the summer is difficult as they will get hot around your body due to this specialized foam. Finally, if you are looking into sport climbing, you want harnesses that are very lightweight and very low-profile. With this lower profile, you get slightly smaller gear loops, because of the fact that you’re just carrying quick draws. Sport harnesses are really light but certainly are not the most comfortable thing to hang in. Due to the nature of sport climbing, however, you should not be hanging about anyway. The harnesses tend to have three strips of webbing with little amounts, if any, padding. You get decent weight distribution without needing a ton of bulk and padding. Again, sport harnesses are built for speed, not comfort. Think of a race car or a fighter jet; they are barebones. There are no extraneous pieces of equipment if it does not lead to a faster more efficient vehicle. The same can be said for sport climbing harnesses. There are a lot of options out there and different buying guides may have different favorites. The most important opinion about harnesses is your own. Ultimately, it comes down to personal preference and feel. You will never know if a product works for you unless you try it. Keep current with your climbing gear, stay safe and we’ll see you on the summit! Thanks for the useful article. I’ve been trying to decide on a new harness and the info you have given is super helpful.